Many small business owners use personal credit to run their business. However, doing so could put you at risk if your business is ever in trouble. Plus, many creditors today are moving away from relying on personal credit alone when judging a business’s financial health since personal credit is not considered an ideal predictor of business behavior. Furthermore, smart creditors are taking advantage of new blended commercial scoring tools that integrate both personal and business credit attributes to assess and predict small business risk. However, if you are a sole proprietor, your personal credit and your business credit are closely linked in the eyes of banks and other lenders. So it is important to take steps to protect both. You should monitor, evaluate and protect your credit standing just as you would protect any other business or personal asset. Lines of Credit: These types of funds offer fast and flexible financing options to meet the short-term cash requirements many businesses cannot survive without. Long-Term Loans: These types of loans are an excellent source of funding for acquiring higher-cost items, such as office equipment or commercial vehicles. They can also be used to finance leasehold or capital improvements to improve the physical presence of a business. Many businesses utilize these types of funds to finance long-term growth, such as the development and implementation of new product lines. Short-term Loans: While usually offered at slightly higher interest rates than Long-Term Loans, these funding sources can be a perfect funding source to assist businesses in paying for specific short-term needs, for example, financing the operating costs of a single large contract. Unsecured Business Credit Cards: These revolving accounts are accepted everywhere personal credit cards are and provide excellent funding source for businesses which need to finance a variety of day to-day operating expenses, smaller seasonal purchases, and simple business property improvements. Secured Business Credit Cards: This relatively new business funding option is an excellent source of financial assistance for new business owners attempting to establish a credit record. In order to get a secured business credit card, business owners establish an account with the financing company and use that collateral to establish a revolving credit card account that, after time and positive payment history, can be converted into an unsecured line of credit. 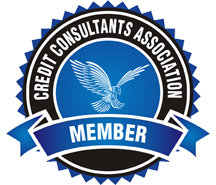 Separating Personal and Business Consumer Profiles Businesses that have a good credit history are typically eligible for business credit. In order to receive this kind of credit, it is helpful to understand the criteria a lender looks for in a potential borrower. The more closely a business follows these guidelines, the more likely it is to get a credit request approved.